DNC: Natasha and Borris, ve vill get Moose and Squirrel. 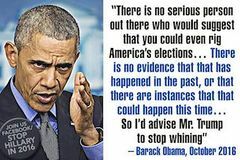 2017 Dems lost the ability to reason! 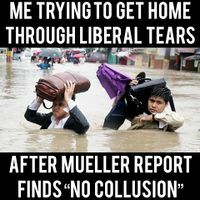 Trying to get home through liberal tears after the Mueller Report finds "no collusion"
Collusion is when an Attorney General meets secretly with the spouse of a person under investigation. 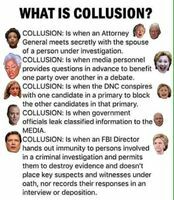 Collusion is when the media personnel provides question in advance to benefit one party over another. 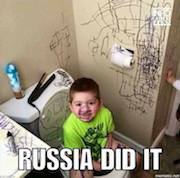 Collusion is when government officials leak classified information to sabotage a candidate. 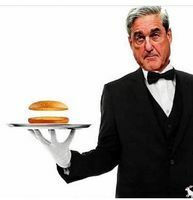 Collusion is when an FBI director hands out immunity, lets someone destroy evidence, and doesn't put witnesses under oath in a deposition. 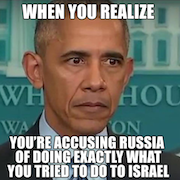 Not a single person was charges, indicted or convicted for conspiring with Russia to influence the election. 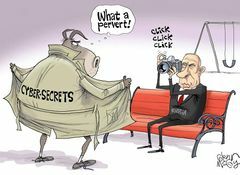 Dems flashing their cyber secrets, and called Russia perverts for looking. 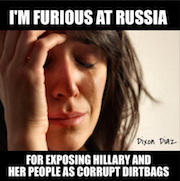 I'm furious at Russia for exposing Hillary and her people for the corrupt dirtbags they are! 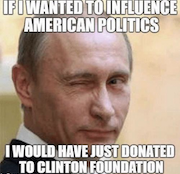 If Putin wanted to influence American Politics, he could have just donated to the Clinton Foundation. 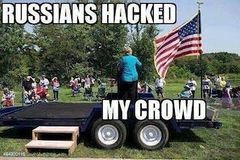 Did Russia hack Hillary's crowd? 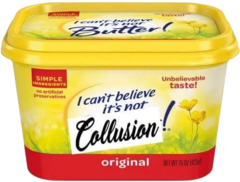 I can't believe it's not collusion. So weak-sauce FakeNews outlets will not apologize for their false narrative but try to spin it as it was close, but not quite enough evidence to convict.